Rob you asked if anyone considered themselves a Nano Reef Aquarium Guru and wanted to step forward to assist in putting together a Nano Reef Aquarium Podcast Series. Check out my thread titled "Jasonanatal's 28 Gallon JBJ Nano Cube HQI Reef Aquarium". Let me know if this is something that you would be interested in. Why could definitely get some feedback from CarmieJo and maybe even Victoria as well. I'd be happy to pitch in as well. Phurst, the ball is starting to roll. Id like to follow you on the nano journey as well. I have a 5.5 nano which is a staging tank for my 125 gallon reef tank. It's been getting to be more and more of a regular set up. Chief, I'd love to see some pix! I'll help with the podcast. Bring back a dead thread. We will have to see what Rob says. Has he said anything yet? I wanna get working on the do's and don'ts of a nano tank. I've already learned alot in this last month of having setup and stocking. You may be waiting a while...I just checked his profile and he hasn't been on here since 1-23-2012. I hate to say it but this site has become a ghost town. With the exception of Carmie...everyone else has all but abandoned TR. Too bad really, I had a lot of fun and learned tons of stuff here. Hate to ask, but how does this fit topic? Back with topic, could we maybe start up the podcast again from scratch and bring this site back up ourselves? So what's the word on the podcast? I probably wouldn't be much help at making any, but sure would enjoy some new ones to listen to. I'd be happy to help get the podcasts going again. Just let me know and I'll start working on material. Rob, are you interested in this? Jasonanatal's JBJ 28 gallon Nano Cube HQI Nano Reef Aquarium. Live Talking Reef Podcast Episode #5 Question. 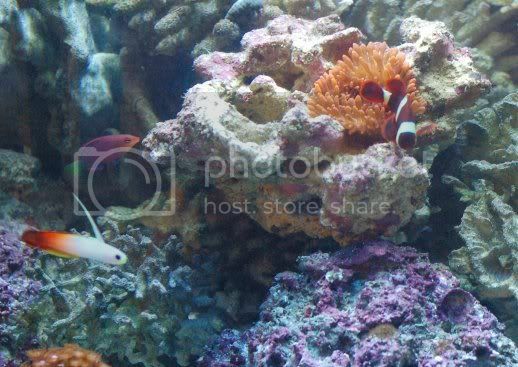 Protein Skimmer Required for SPS Nano Reef Aquarium.